Depending on the added ingredients, either slice, chop or lightly mash fruits or vegetables, and either tear or julienne fresh herb leaves. Although the flavored water will be served in a single-sized glass, it could be made in either a drinking glass or a larger amount in a water pitcher. No special kitchen equipment is needed, although there are pitchers and water bottles designed to contain the produce so those ingredients are not floating in the water when it is time to drink it. Infused water could be served immediately after it is mixed, but it will not have the maximum amount of flavor. It’s very nice chilled. It is recommended that the water is chilled in the refrigerator from 30 minutes to overnight for optimum flavor. Often, the longer it is chilled, the more flavor it will have. As in any food or beverage preparation, do not forget to wash hands with soap and water before handling the food, as well as wash all produce with clean running water. Use clean containers and sanitize preparation surfaces before starting. For food safety, treat the infused water as you would treat any other refrigerated food. The water can be enjoyed today, stored in the refrigerator until tomorrow or freeze it for longer storage. Do not take a batch of infused water from a previous day and add to it—go ahead and make a fresh pitcher! The produce used in infused water is often thrown away in the trash or down the disposal. Don’t forget, the kitchen compost is always a great option for these waterlogged ingredients. Please remember that to gain the most nutrition benefits from fruits and vegetables, it is recommended that you eat the produce. While infused water is a great way to stay hydrated, these will not count as your servings of fruits or vegetables for the day. The next time you are slicing Ohio produce to eat, consider adding a handful to your water pitcher. Infused water can be low-cost by using ends and pieces of produce that are not going to be used for meal preparation. Because it’s so easy to make, and there is not a right or wrong recipe to try or invent, get the entire family involved! There is nothing wrong with purchasing lemons and limes at the grocery store, but Ohioans are fortunate to have many options of flavors growing in containers, backyards, community gardens, school gardens and farms across the state. 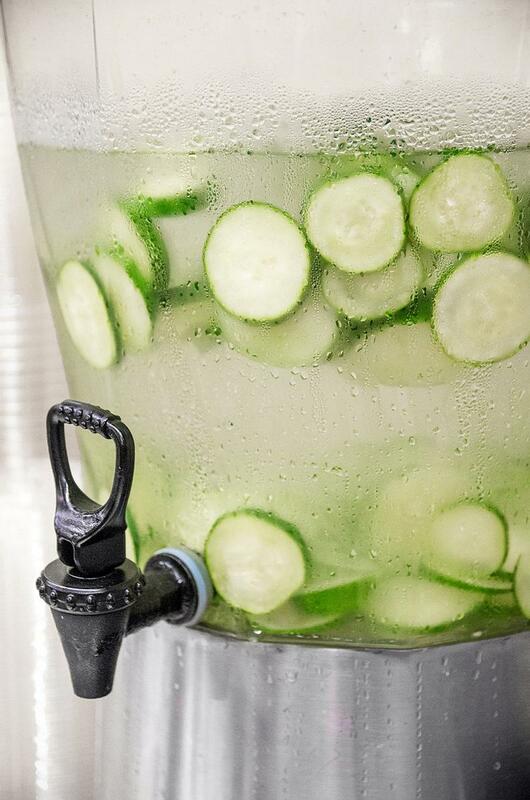 While vegetables are not as common as fruits in infused water, it is not unusual to use cucumber. Some additional vegetables to add color and flavor include: celery, red or yellow peppers, spinach or zucchini. 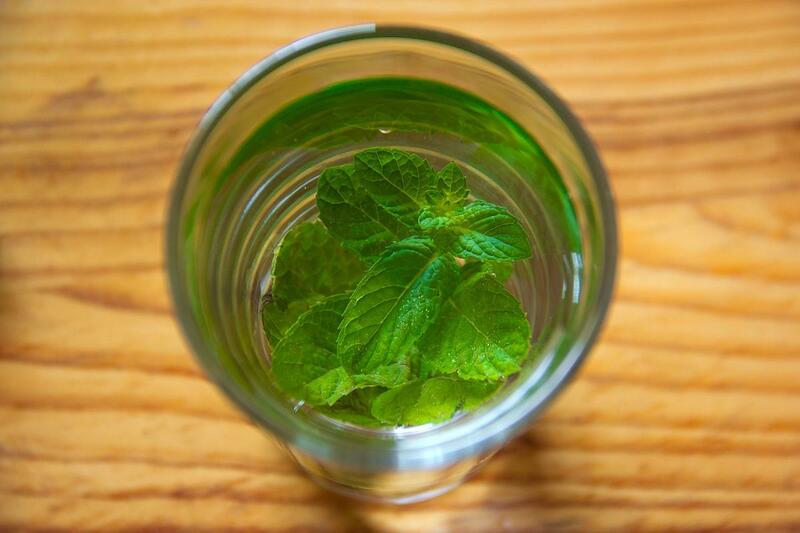 Mint is a common flavor to infuse water and there are many varieties of mint beyond the traditional peppermint and spearmint. Try pineapple mint or grapefruit mint for a tropical taste. While this list is not exhaustive, the following herbs can maximize options for water flavor combinations: basil, rosemary, sage, lavender and lemon balm. Infused water. (2014, July 9). 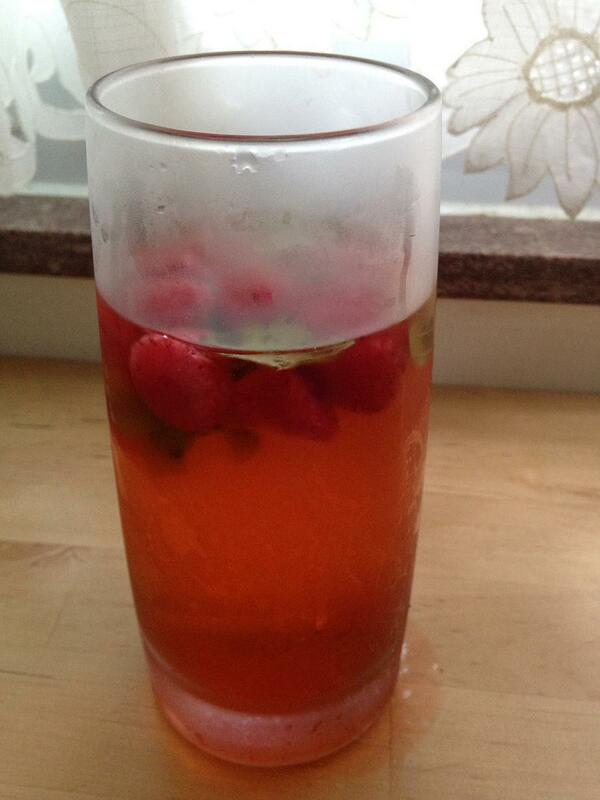 [Blog post] Retrieved from blogs.extension.iastate.edu/wellness/2014/07/09/infused-water. Galdamez, I. (2014, June 12). Pass the water, please! Retrieved from msue.anr.msu.edu/news/pass_the_water_please. Powers-Barker, P. (2015, July 14). 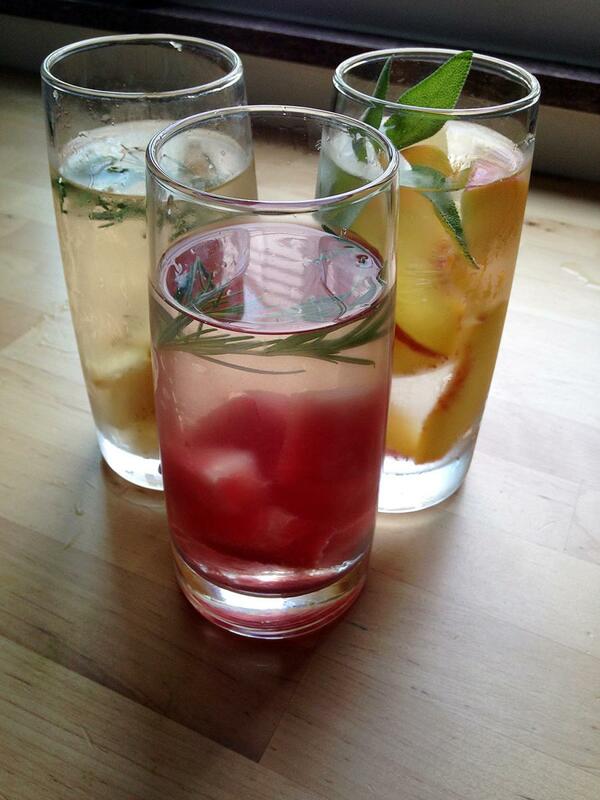 Do you infuse your water with Ohio local foods? [Blog post]. Retrieved from livesmartohio.osu.edu/food/powers-barker-1osu-edu/do-you-infuse-your-water-with-Ohio-local-foods. Photos from Pixabay.com and Patrice Powers-Barker.